The EUR/USD pair has broken through the consolidation range from bottom upwards. The previously calculated move towards a local target for the next ascending wave 1.1500 has been worked out. For today we'd consider the high 1.1538 to be hit. Then the price can lower to break through the level 1.1500 from top downwards. We'd consider a correction towards 1.1488 as the next move. 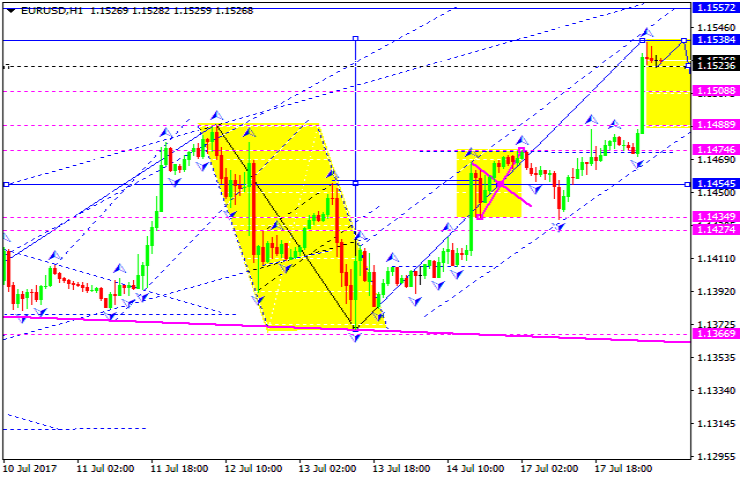 Then a possible upward move can be expected to hit 1.1557 level. The GBP/USD pair is being traded within a consolidation range on top of an ascending wave. 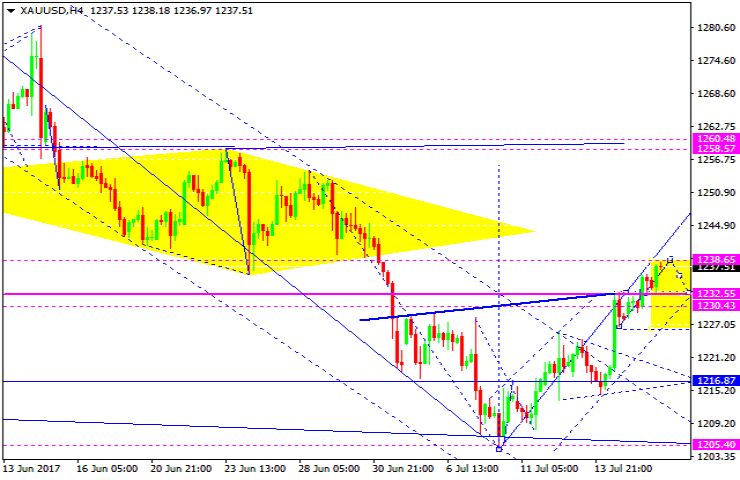 If the price breaks through this range from bottom upwards, it can hit 1.3152 level. 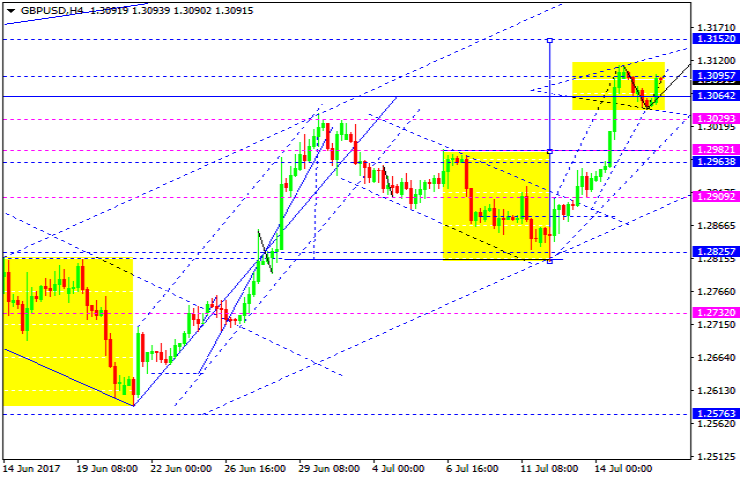 If the pair breaks through this range downwards, a correction towards 1.2900 can be expected. 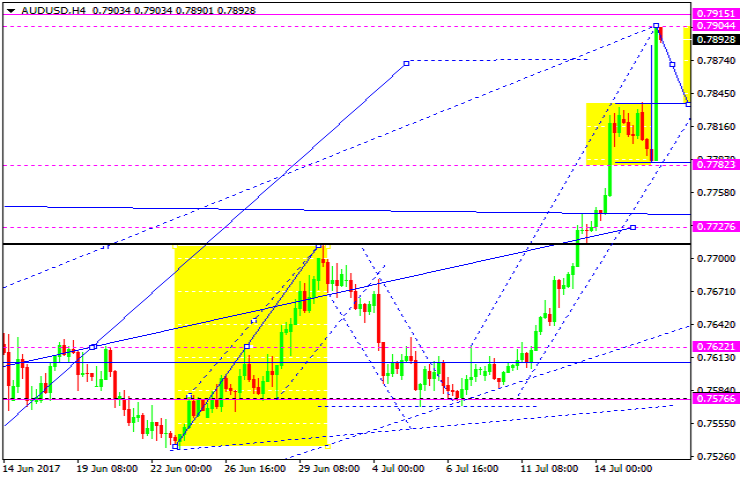 The USD/CHF pair has broken through the consolidation range downwards. 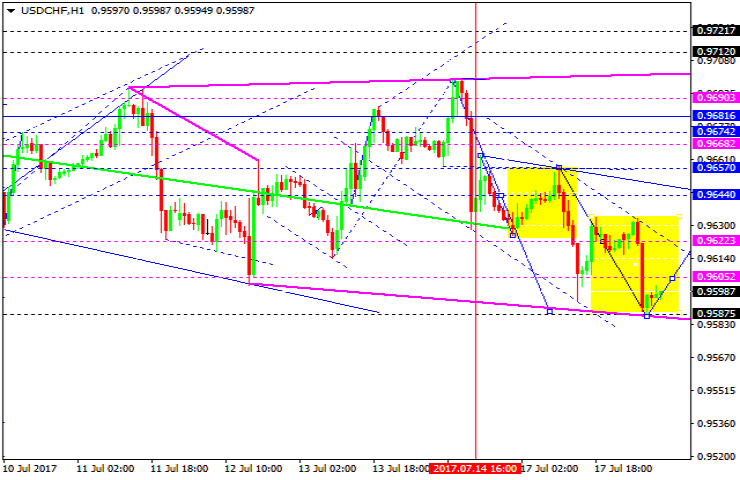 A test of 0.9585 level can be expected. Then the pair can rise towards 0.9622. After that, the pair can lower towards 0.9600. 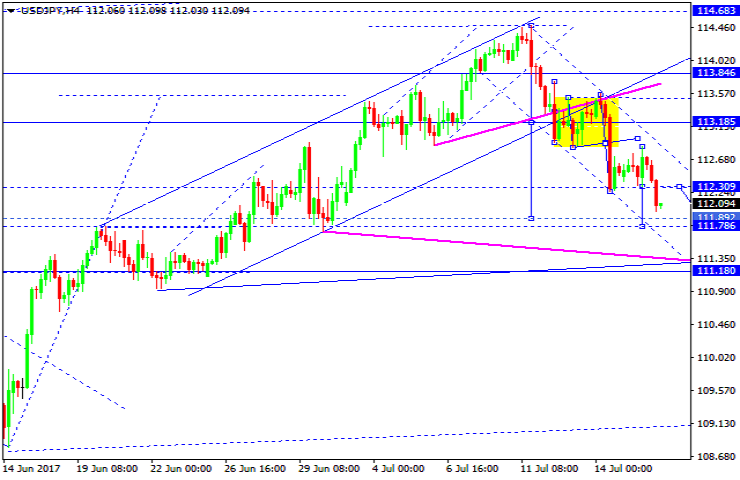 The USD/JPY currency pair has worked out the calculated target for the downward wave. At the moment the market is moving within the descending channel. An elongation towards 111.78 can be expected. Also, the price can rise towards 113.18 as part of a correction. The pair can also decline towards 111.10 as a downward move. The AUD/USD pair has broken through the consolidation range from bottom upwards. The calculated move towards 0.7900 has been worked out. An elongation towards 0.7915 can be expected. Then we'll consider a downward move towards 0.7725. The USD/RUB pair has almost worked out the target of its descending wave. For today we'd consider a possible rise towards 59.94. We are expecting a correction move in the form of a 5-wave Flag. 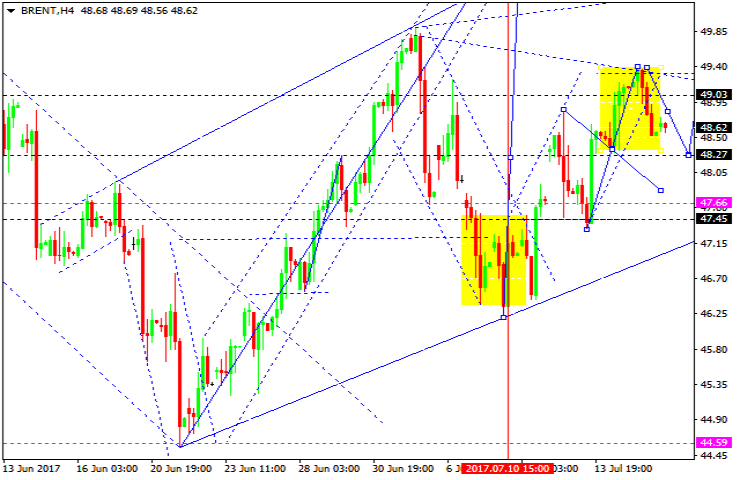 Oil is being traded within a descending structure towards 48.27. 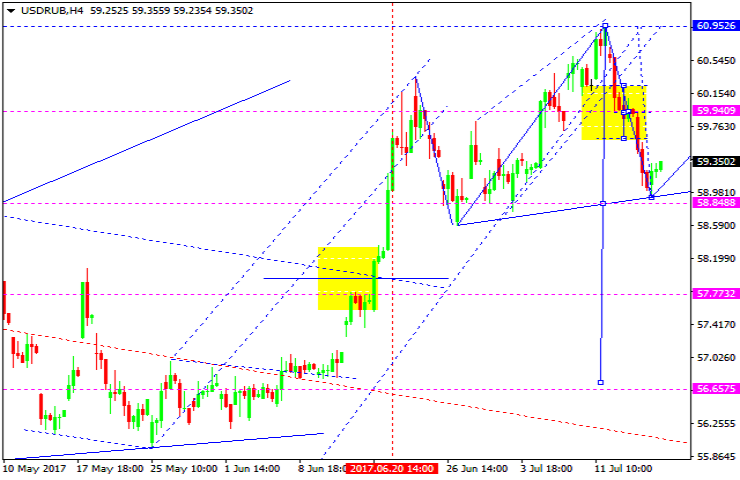 This correction move can be extended to reach 47.45. Then we'd consider a possible rise towards 50.20. The target is the 1st.